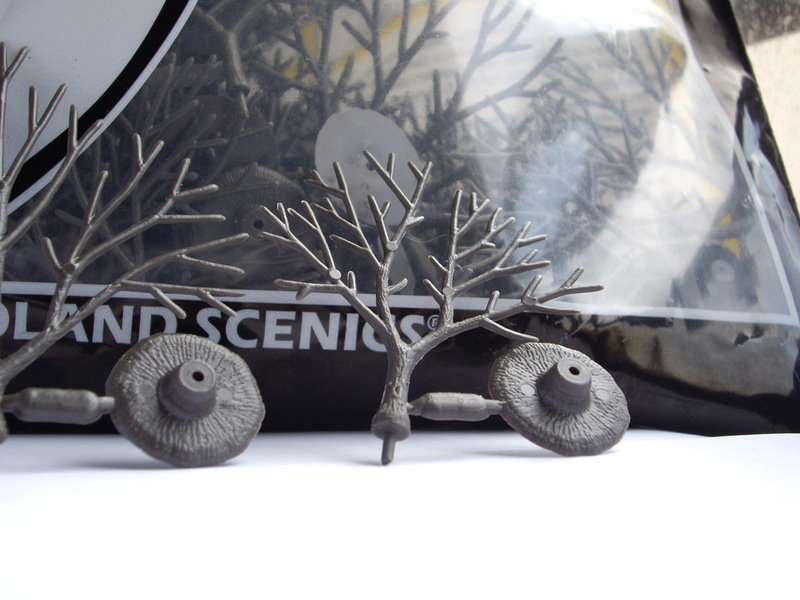 Woodland Scenics trees. Those are from 5 to 7,6cm. 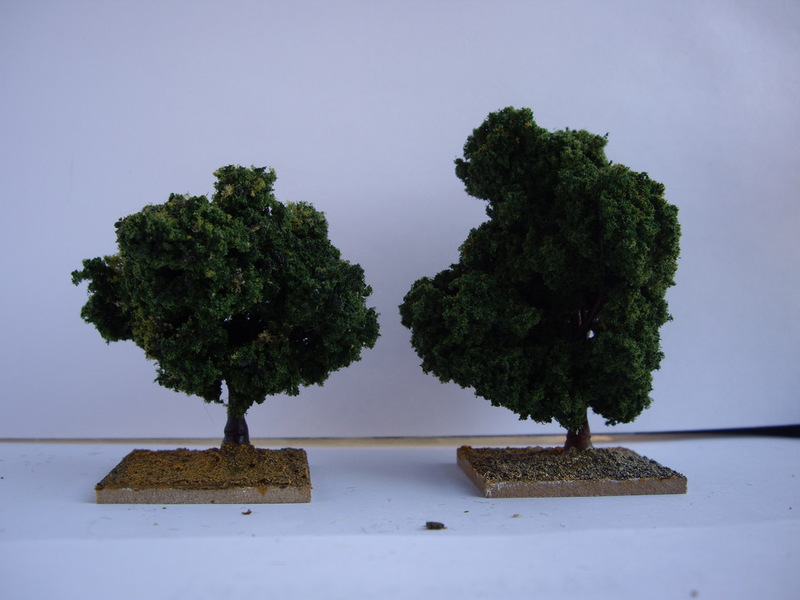 A bit small for 1/72 scale, but they look nicely as small trees and bushes. There are 57 trees, maybe too much, in three diferent sizes. 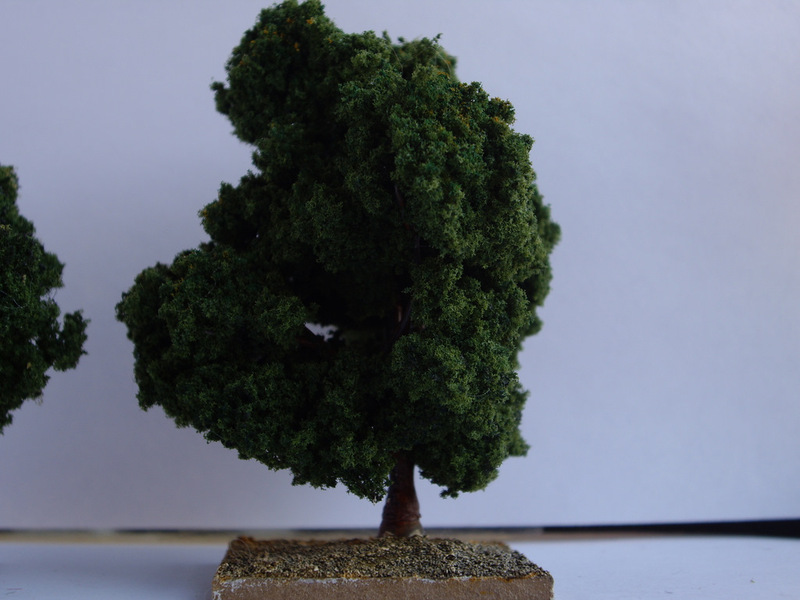 The branches are quite flexible and easy to manipulate, achieving a good appearance. Clump Foliage CLUMP FOLIAGE DARK GREEN. 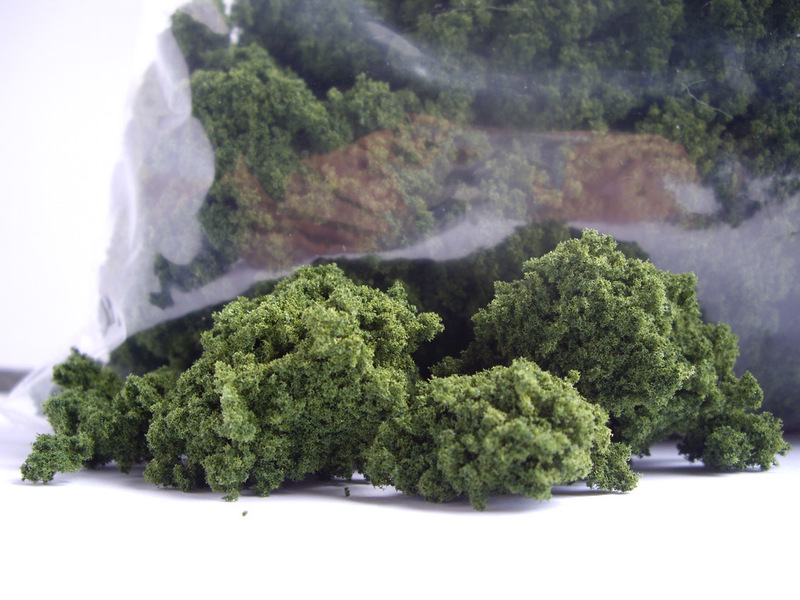 The 500 gr bag is enough for at least 20 trees. 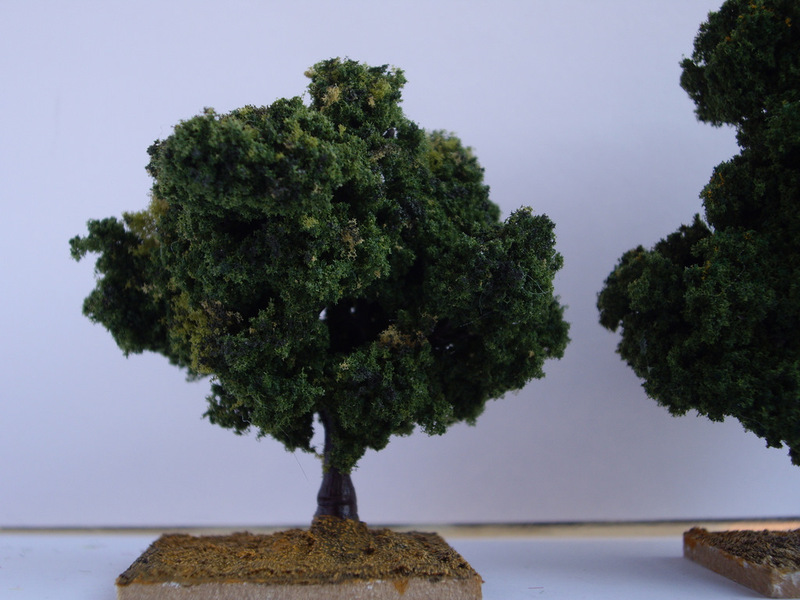 Put white glue (like Elmer’s Glue) on trees, and then put clump foliage covering they. You can drop the tree into a bag full of clump foliage, but after this sure you must fulfil some gaps. 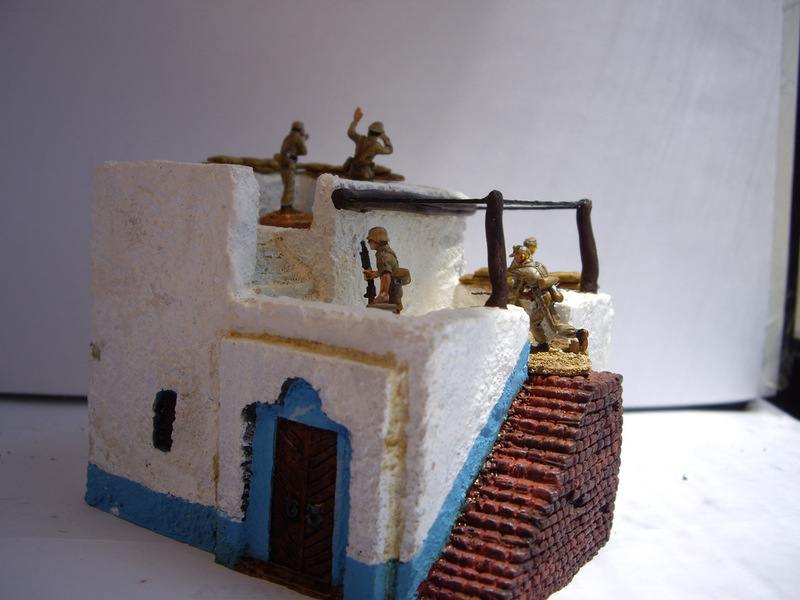 Apply shadows or lights to achieve more realism. The result is quite good, unless they look fragile. 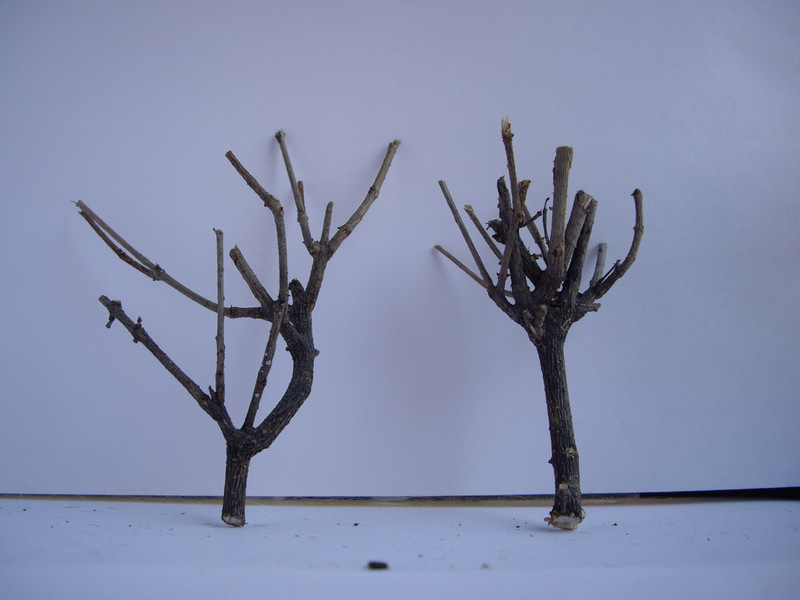 A best option is take natural branches from a dead tree, with a good appearance. The result is quite good and get a lot diversify.